Ms. Supreeta has completed B.A. 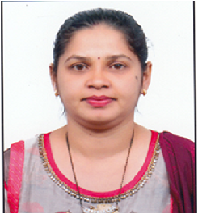 from SMS College, Udupi, M.S.W. in Medical & Psychiatry from Shree Devi Institute of Social Work, Mangalore University and PGDHRM from Bangalore University. She has more than six years of industry and academic experience.